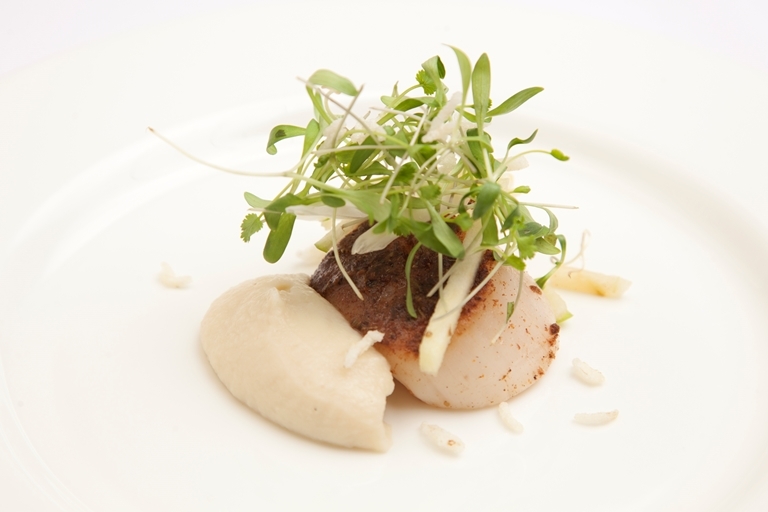 Scallops and cauliflower are often paired, but this scallop recipe from Matthew Tomkinson adds crunchy fresh salad to balance the rich and soft textures of the scallops. Coriander cress is a micro-leaved variety of the herb. If you can’t find it then just pick off a few young leaves from a larger plant.